Renowned for his skills with the ball, Bolasie has established himself as one of the most entertaining players watch in the English Premier League. Powerful, nimble-footed, quick and agile, his mazy runs, unique hairstyle and unmistakable goatee makes it almost impossible not to notice Bolasie parading either the left or right flanks with an annoying insouciance – from an opponent’s perspective. With his favourite number – 10 – on his back, bolasie is virtually unplayable on his day – wreaking havoc on even the stingiest of defences that care to play against him. The DR Congo international would have every reason to take a look back at 2015 and have his face crease into a smile on what has, to a large extent, been an eventful year. His club’s 57-point haul in the calendar year in the English Premier league underscores how momentous these past few months have been to him. Under the tutelage of Alan Pardew, Crystal Palace rallied itself from a position utter vulnerability, staring ever closely to the barrel of the relegation gun as they would like to, to turn the corner of their execrable first half of the season form – winning only 3 of their 21 games before New Year – to an impressive top 10 finish. Of chief importance to Pardew’s quest of getting the slide stemmed and turned around, a key player the manager deployed to deadly effect was Bolasie. But the story has not been all rosy of the 26-year-old. Bolasie took to the field for the first time in a semi-professional capacity as a talented teenage with huge prospects in July 2007 for English non-league side Rushden & Diamonds. And from then, until Crystal Palace snapped him up in the summer of 2012, he flittered between 10 clubs in five years in the lower tiers of English football. Some of the clubs on his CV include; Plymouth Argyle, Bristol city and Barnet. His time in the wilderness sure came with its own perks. There were certainly key values discipline, hard work and perseverance learned. Fast forward to end of the 2014/2015 season and Bolasie had contributed directly to 15 goals for Crystal Palace in the EPL – four goals and 11 assists – a far cry from the paltry 3 he got in 43 appearance in his first season at the club. His somewhat nomadic club football business had a toll on his international career. Eligible to represent either of England, France or Congo DR, he chose to strut his stuff for the country of his parents’ birth but that was not until a World Cup qualification game against Libya in 2013. This came after he had turned down the chance to play for Congo DR on several previous occasions with the fear it might hinder his club football chances having just signed for Palace in the summer of 2012. He’s gone to earn 19 caps with 4 goals to his name. He played his first AFCON in 2015 and helped the central African nation to a 3rd place finish – the highest they’ve placed in a very long time. It goes without saying that Bolasie has had a pretty good 2015, but where does he go from here? He’s currently tied down to a long term contract with the Eagles until the summer of 2019. 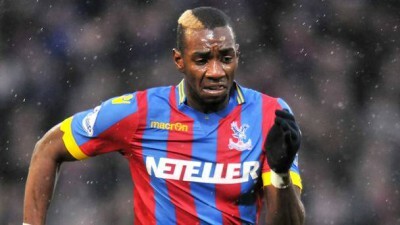 It is understandable that Pardew would want to hold on to one of his most prized assets, but if Bolasie is to continue in the same way he’s done for the large parts of the last 3 years, it wouldn’t come as any surprise if a bigger club – with all due respect to Crystal palace – comes to prize him away with an offer they won’t be able to reject. And is he consistent enough to see that happening anytime soon? A splendid year was highlighted by an amazing evening in Merseyside in November. His well taken left-footer found the bottom left corner of Simon Mignolet’s goal and the over 60,000 capacity Anfield was thrown into a deafening silence. The game was only half way through the first of two halves and the traveling fans couldn’t get enough Yannick’s goal, pace and trickery. So from thence on end, their awesome repertoire of songs and sounds were augmented by placid chants of “Bolasie! Bolasie! Bolasie!” every time he touched the ball much to the chagrin of Jurgen Klopp’s men. He put in a very solid performance on the night and he left a large chunk of Eagle fans salivating at the prospect of the ambidextrous winger patrolling their flanks for some more time to come.